Fede is a physical anthropologist who got his Dr. Sc. on Human Ecology, at the Institute of Ecology, Polish Academy of Sciences, in 1992. 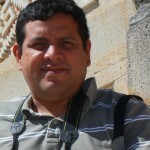 Since 1992 he is a Senior Researcher at the Merida campus (www.mda.cinvestav.mx) of Cinvestav (www.cinvestav.mx), one of the leading research centres in Mexico.The current research interests of Fede are the human ecology of migration; human ecology of child growth and participatory action research and human well-being. He is active in teaching and supervising postgraduate students in his department, and had published 60 papers and six chapters of book, as author or co-author, two edited books and a co-authored book. Fede has been principal or co-principal researcher in 12 projects, with international or national funding. He was the third Vice-President (International) of the Society for Human Ecology, United States of America, 1997-1999. 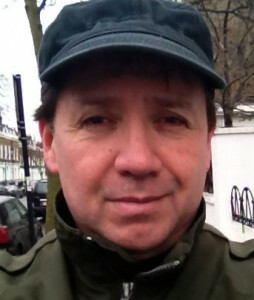 He is a member of several editorial boards (Journal of Human Ecology, Spain; Human Ecology Review; Revista Biomédica, University of Yucatan; SurdeMéxico, Regional journal on social sciences; and Regions & Cohesion, University of Luxemburg. Fede was born in Mexico City and he is father of three boys and a girl, and grandfather of a girl and a boy. He likes to read novels, to work in his carpenter workshop and to walk. 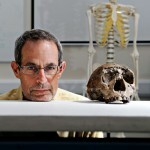 Is a Professor of Biological Anthropology at Loughborough University. Born in the United States, studied Biology and Anthropology at Temple University, receiving a PhD in Anthropology in 1977. Barry worked at the Universidad del Valle in Guatemala (1974-76), Wayne State University, Detroit (1977-82), and University of Michigan-Dearborn (1982-2006), before crossing over Loughborough University. His research interests are focused on biocultural anthropology; human nutrition; human physical growth and development; and the evolution of the pattern of human growth. Barry is also an avid bike rider and a jazz drummer who is now doing some experimenting with indie rock. And he drinks gallons of tea. Born in Chiapas, Teresa grew-up sharing the Chiapanec and Zapotec culture roots of her parents, enriched with the Maya culture from the Yucatan, where she has been living since 1984. Tere holds a PhD in Social Anthropology and is currently a Senior Researcher in the Department of Human Ecology, Centre for Research and Advance Studies – Merida (Cinvestav) (www.mda.cinvestav.mx). Her research interests are focused on gender relationships, participatory community processes, non-formal and informal education and rural development. Study also natural resource management in coastal ejidos (a kind of land tenure in Mexico). 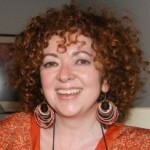 She is the founder and the head of the Laboratory for Research on Community Participation (http://www.mda.cinvestav.mx/personal_eco/profesores/IPC/index.html). Tere also collaborates in research on the use of pesticides in agriculture and its effects on health of workers and their families. Since Tere believes that linking scientific research to the social sector is a fundamental way to improving well-being her research has fomented close work with community groups, showing the importance of dialogue with the research participants. She is currently Associate Editor of Action Research journal (Sage Publications). 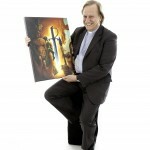 Simon is Anglican Chaplain to Loughborough University and Colleges, Coordinator of the Centre for Faith and Spirituality and Senior Visiting Fellow in the School of Sport, Exercise and Health Sciences at Loughborough University. Simon is also a psychologist, with Jungian leanings. He embraces, within his varied roles and academic pursuits, an active interest in the psychology of religious experience and its interfaces with culture and society. Amongst other things, Simon has a passion for drama and music and expresses this by being part of a local light opera society and a choir. Paula is a Reader in Biosocial Science in the Centre for Global Health and Human Development at Loughborough University and British Academy mid-career Fellow. Her research interests focus on inequality in health in low and middle-income country settings. She is especially interested in the role that the social and economic environment plays in shaping health, growth and development in the early life-course. Cristina was born in Portugal and holds a Master’s degree in Medical Anthropology and a PhD in Anthropology. She is specialised in socio-anthropological studies focusing on refuges. Graciela Valentín was born in Mexico City, where she studied Biology. She has now 15 years of experience as research assistant at the Laboratory of Somatology of Cinvestav-Merida, in Mexico. Graciela has collaborated in 10 research projects of the Laboratory of Somatology, doing anthropometry and interviews, and applying socioeconomic questionnaires to children and their parents. She is co-author of 11 articles and one book chapter. She has also supervised 5 thesis on nutrition. 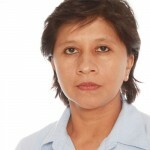 Graciela is the mother of a girl and a boy and enjoys sports, mainly running. 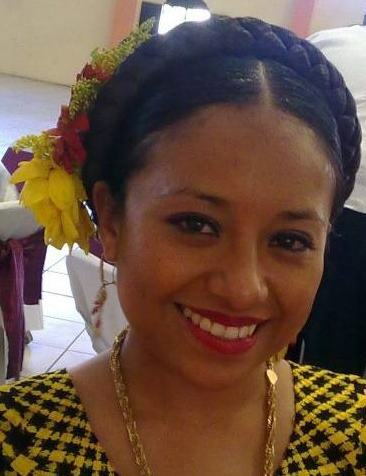 Mayra was born in Mexico City but her family has Zapotec roots from the region of Tehuantepec, Oaxaca. She holds a Law degree from the Universidad Nacional Autónoma de México (UNAM). During the course of her university studies she represented the UNAM and Mexico in several national and international cases focused on human rights. Mayra has been working with victims of torture, people who experienced forced migration, abused and maltreated women and has also been active in promoting equal health access to the indigenous communities. Mayra belongs to the National Association of Democratic Lawyers (Asociación Nacional de Abogados Democráticos, ANAD). Hugo is a Ph.D. student with the Centre for Global Health and Human Development, School of Sport, Exercise and Health Sciences, at Loughborough University. He was born in Mexico and holds an MSc in Human Nutrition and Human Ecology. His research interests focus on the study of human growth and its variation according to economic and sociocultural variables. In his Ph.D. he assesses how intergenerational factors influence growth and nutritional status of Maya families. Hugo is particularly interested in the phenomenon of nutritional dual burden (i.e. coexistence of undernutrition and overweight within the same family or the same individual). 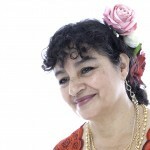 Maria Luisa Avila-Escalante was born in Merida , Mexico. She studied nutrition at the Faculty of Medicine of Autonomous University of Yucatan where she now is teaching. Maria Luisa holds a master’s degree in Epidemiology from the National Institute of Public Health of Mexico, and she is starting her PhD at Loughborough University. 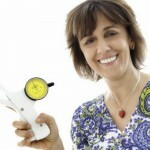 She is interested in the study of human growth, development, obesity, and body composition. During the last six years she took part in a radio program on nutrition and health in Radio Universidad, in Merida. She has offered clinic consultations on obesity and eating disorders. She is also a teacher of Mexican dance and loves eating chocolates and ice-cream. 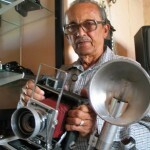 Isidro Avila was born in Merida, Mexico, in 1929 and has been working as a professional photographer since 1955 for Diario de Yucatan, one of the most important and old newspaper in Yucatan. Mr Avila has been recording scenes of the politics, business, sports, local high society, and daily life of the Yucatan Peninsula. He also took pictures of people such as the Pope John Paul II, Jacqueline Kennedy, Queen Sofia of Spain, Princess Grace of Monaco, Presidents Ronal Reagan and Bill Clinton, Prime Ministers Olof Palme of Sweden and Indira Ghandi of India, when they visited Yucatan. In his archive he has also pictures of artists, dictators, bandits and common people in the Peninsula. 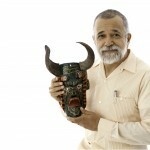 Mr Avila is one of the most important senior photographers from Yucatan and Mexico. Miguel was born in 1969 in Merida, Mexico. He studied graphic design at the University of the Valley of Mexico, in Mexico City and got a master degree in Human Ecology at Cinvestav-Merida. 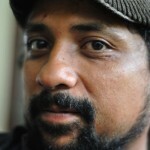 Miguel has worked on documentary photography and art photography having taken part in local, national and international collective exhibitions. His work on documentary photography focuses on the working conditions, traditions and customs of contemporary Maya people. He uses several techniques, and specialised in the pinhole photographic technique. Currently he is working on a photo and video documentary about the economic, social and cultural aspects of the Maya milpa. The milpa is a very specific agro-ecosystem that was developed in Mesoamerica about 1,500 years ago. 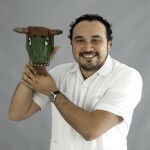 Miguel also runs Visual Arts Workshops at the Autonomous University of Yucatan. Carlos Lopez-Barillas is a Guatemalan born photographer living and working in the United Kingdom since 1996. After a brief stint as a fashion photographer Carlos started working for the news section of the Guatemalan daily Prensa Libre, in 1991. Subsequently, he was hired by the international news agency The Associated Press in 1993. During his time with The Associated Press he covered the armed conflicts of Guatemala, El Salvador, The Zapatista Uprising of Mexico and the armed conflict in Northern Ireland. Subsequently he worked as a contract photographer for The New York Times in their London Bureau. His work has been published in most of the relevant publications around the world, among others: The New York Times, The Guardian, The Observer, The Times, The Irish Times, The Boston Globe, The Philadelphia Enquirer, Los Angeles Times, The San Francisco Chronicle, Time Magazine, Newsweek, The European, Paris Match, Der Spiegel, National Geographic. Deira belongs to a Maya family from the town of Felipe Carrillo Puerto, Quintana Roo, the community founded by Maya rebels who fought the Cast War in the 19th century. Deira studied psychology at the Autonomous University of Yucatan and she is finishing her master degree thesis on “Concepts of health and disease among Maya children”. 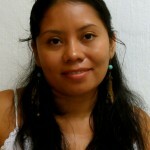 Deira has worked as teacher at the Intercultural Maya University in Quintana Roo. She has participated in national and international congresses with collaborations on themes such as emotions and health in Maya people and intercultural education (Mexico is the eighth most ethnical diverse country in the world). She also has collaborated in research projects on gender equity, social responsibility of university students, communal development and emotions among the Maya. 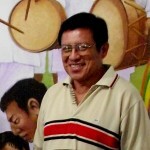 Marcelo generously allowed us the use of a photo of his mural “Maya Cultural Mosaic” for this exhibition. (balamtunich [at] gmail.com).